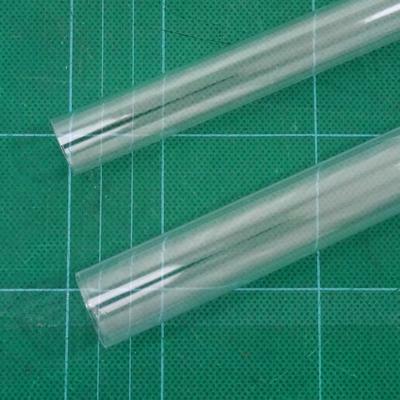 Model Rocket Tube Clear Plastic CPT - 50 Size (24" Long, 0.942 ID, 0.976 OD, weight approx 26 gm). Great for making clear payload sections! Has a bit of "flex" to it so is not likley to shatter. Cuts easily with a sharp hobby knife. The same nose cones, bulkheads, etc. that fit our T-50 tube will fit the CPT-50 clear tube.